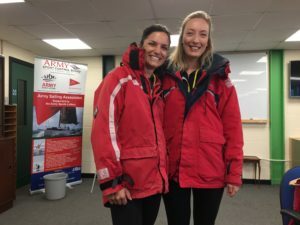 SafeLane Global met up with keen sailor and Paralympic skier Andy Barlow at the Army Sailing Centre in Gosport to sail to Cowes, the Isle of Wight. 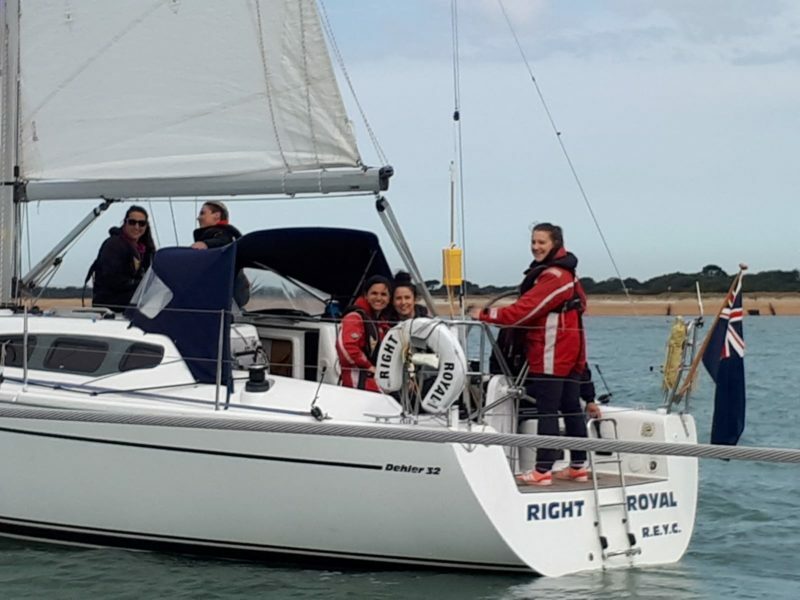 On the 30th of August a group of eager wanna-be sailors from SafeLane Global’s Ross-on-Wye and Gillingham offices ventured over to the Army Sailing Centre in Gosport to try their luck out on the water. SafeLane Global was offered this opportunity by Andy Barlow, a Kajaki veteran, as a “thank you” for sponsoring him on his quest to represent the UK as a Paralympic Skier in the most recent Winter Paralympics. The aim was to sail from Gosport to Cowes, the Isle of Wight, in a voyage led by Skipper Barlow. The wind was almost non-existent that day which regrettably restricted the amount of actual unmotorised sailing that occurred but this did not dampen the sailors’ spirits. Kitted out in bright red waterproof jackets, with the option of matching red trousers, they sailed the Solvent in two yachts. The crews were put to work pulling up the main sail, tying knots and steering (well at least attempting to do so in a straight line!). Once they reached Cowes the seaside town was explored before lunch at a local pub called, The Anchor. There was a selection of pub grub available but fish ‘n’ chips were by far the most popular dish! It was a day full of fun and adventure with a lot of team bonding thrown in as well.